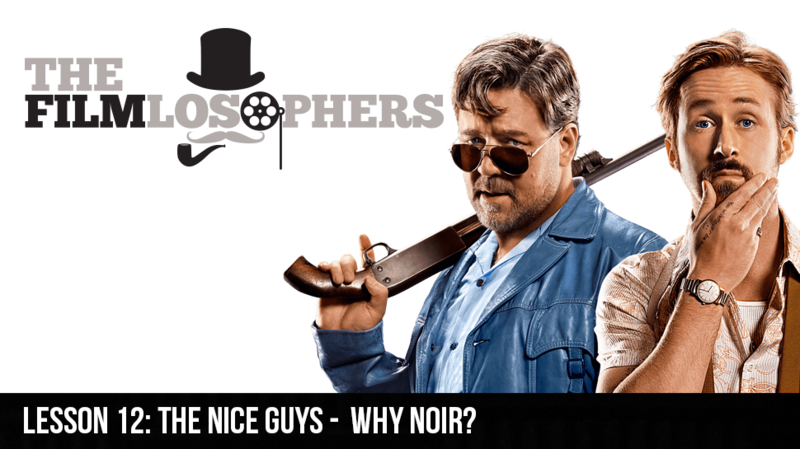 Lesson 12: The Nice Guys – Why Noir? The Filmlosophers, Eddie Villanueva and Chad Riley, welcome guest host Hannah Porter and evaluate the latest from director Shane Black, a neo-noir buddy comedy called The Nice Guys (2016). Does the Rotten Tomatoes “Certified Fresh” classification fly with the crew? More importantly, would the unexpected comedy duo of Russell Crowe and Ryan Gosling succeed in another film genre? This week’s news items include a press announcement for a new Halloween film from the mind of John Carpenter, reactions to the first teaser trailer for Disney’s live-action Beauty and the Beast (2017) and a smashing update from Mark Ruffalo on the Hulk’s role in Thor: Raganok (2017).